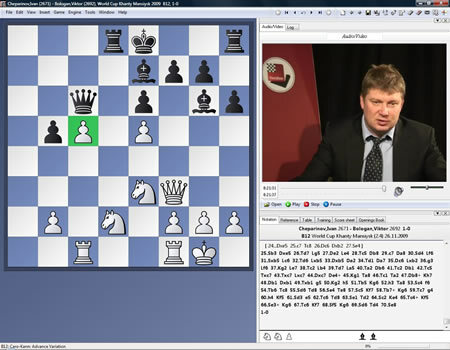 The Caro-Kann Defence, which arises after the moves 1.e4 c6 followed by d7-d5, is considered to be one of the most reliable defences to White's 1.e4. Black fights for his share of the centre and patiently awaits his chance. Shirov's preferred weapon against this solid setup by Black has always been the Advance Variation 3.e5 - with chances and risks for both sides. 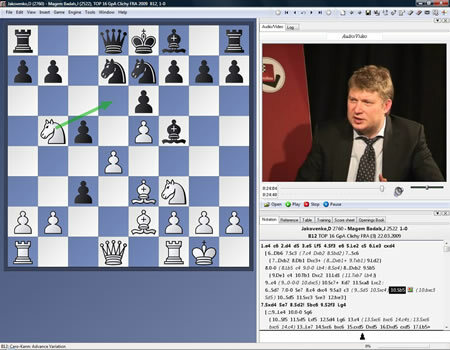 The main focus of the DVD is on plans for both White and Black after 1.e4 c6 2.d4 d5 3.e5 Bf5; the Latvian super-grandmaster explains these with the help of the best games culled from his own praxis, as well as three theoretically important games played by others. The material which has been added for this new edition concentrates on the variations after 4.Nf3 e6 5.Be2. Video running time: Over 7 hours.